Do you have a solution for the following. 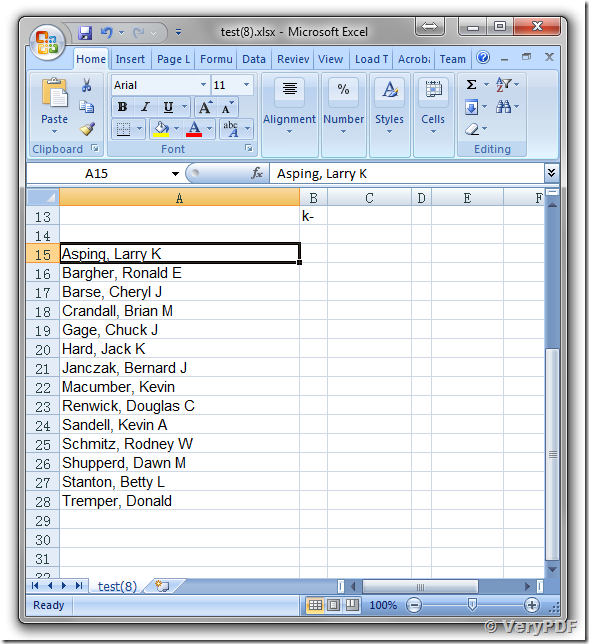 I have excel files with 500 employee names. We print the sheet and have the employee sign next to their name. I want to be able to take the scanned pdf file and convert the names with signatures to excel for sorting. 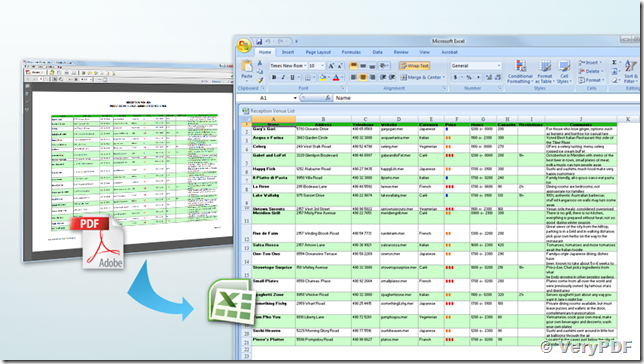 I want to convert OCR images Scanned with an Avision card scanner to an Excel spreadsheet on my Windows 7 PC. Any ideas how I can go about this? You can use "VeryPDF OCR to Any Converter Command Line" to convert scanned PDF file to text based HTML file, then you can parse HTML file to get text contents easily, we hoping this solution will useful to you. I was hoping I could trial this to see if it works before I purchase. I have a file I want to test. Is this possible? Please see attached file and let me know if I would be able to convert to excel. I need the signatures to convert in a box next to the name so I can sort them and add other names with signatures with them for sorting. We hoping this XLS file will useful to you. 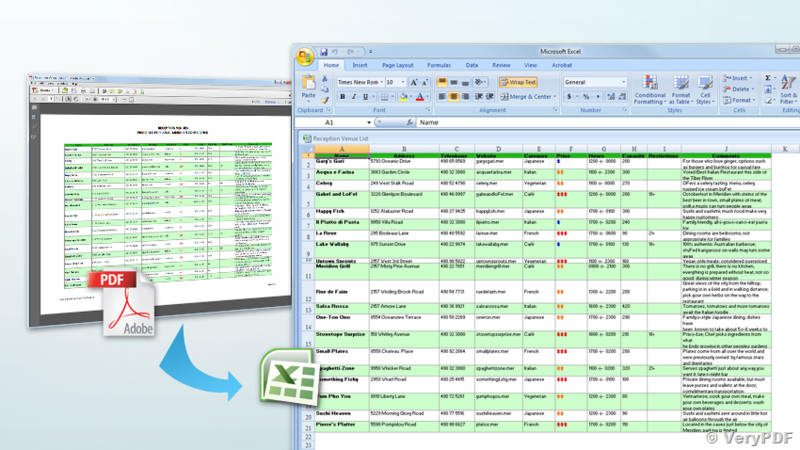 This entry was posted in PDF to Excel Converter, PDF to Excel OCR Converter and tagged PDF to editable Excel, PDF to Excel, PDF to XLS, PDF to XLSX. Bookmark the permalink.